It’s called the Photoshop Playbook. There is no waste or fluff here. Just the key time-saving techniques to solve common problems and get your essential work done. These powerful videos answer the top questions the company gets across all of its social media channels. Of course, Lynda.com is amazing – but for the money (free) and time spent (3-4 minutes apiece), we find these nuggets to be among the most helpful and effective tutorials we’ve ever seen. Selective Focus – How to blur a background and make a subject stand out with the blur gallery. Making Fine Hair Selections – How to make fine hair selections and masks. Adding Borders to Images – How to add different borders to an image with Photoshop. Light Correction & Removing Unwanted Objects – How to remove unwanted objects and use color dodging to equalize the luminance and color temperature of subjects. Creating Panoramas – How to easily create multiple-photograph panoramas in Photoshop. Improving Smartphone Images – How to use Adobe Camera Raw to improve photos from iPhones and other smartphones. Get a Great Group Shot with Two Photos – How to get great shots with group photo repair. Cropping & Straightening Photos – The art of cropping and straightening in Photoshop. Converting to Black & White – How to convert images to black & white in Photoshop and Camera Raw. Removing Red Eye and Whitening Teeth – How to easily fix red eye in your photos, plus lighten & brighten smiles. How to Create Animated GIFs – How to make animated GIFs from separate images. 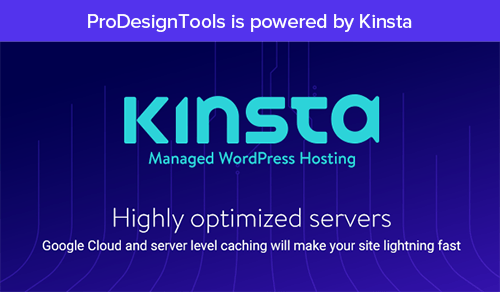 Optimizing Photoshop Performance – Simple steps to better Photoshop performance. Removing Sensitive Location Information – How to view and delete location data from images. Hiding Sensitive Information in Images – How to use blur and filters to hide sensitive details in your photos. Editing & Manipulating Images in Perspective – How to edit and manipulate images in a given scene. Removing Objects From Images (Advanced) – Learn advanced methods for deleting unwanted objects from images. Adding & Removing Lens Flare – How to add or remove lens flare from a photo. Non-Destructive Techniques Using Smart Objects/Filters – How to use smart objects and smart filters in Photoshop. Selective Color Manipulation – How to quickly change an object’s color, or selectively colorize an image. Swapping Pet Heads – How to swap pet heads (April Fools’ episode). Fixing Pet-Eye & Making Text Bubbles – Master how to fix pet-eye and make text bubbles. Adding People to Images – Someone’s in one picture but not in the other? Learn how to fix it with Photoshop. How to Add a New Sky: Compositing Basics – Understand the basics of Photoshop compositing by learning how to add a new sky to your image. Getting Started with HDR Images – Bryan O’Neil Hughes explains how to create High Dynamic Range images. Can’t get enough? Watch more free Photoshop tutorials – nearly five hours of training covering a lot of ground. If you’ve got a recent version of Photoshop, then don’t miss this helpful free primer for beginners getting started, or dozens of free downloadable books. 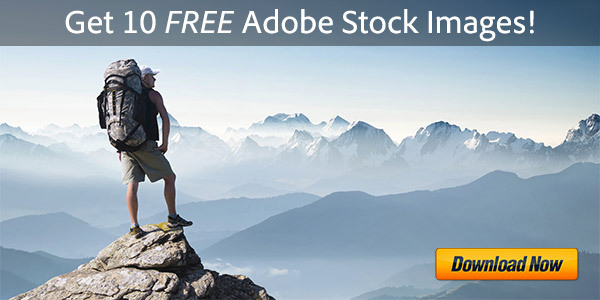 Get the complete manual – free online documentation – for Photoshop or any Adobe tool. I ‘m enrolled at Cleveland State University and taking art courses. I hear there is a student version of Photoshop available at a discount. Please send me the relevant information. 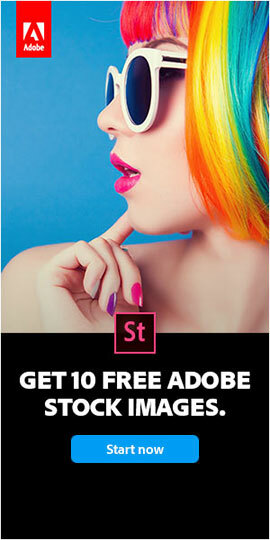 If you want to get started with a no-cost tryout of the software first, then we have direct links to the free trial downloads for both Photoshop CC (the latest release) and Photoshop CS6 (the previous version). To buy the software you’d just go to the Adobe Student Store (for CC) or Adobe Creative Suite Store (for CS6). You can google “download YouTube videos,” or try a free service like KeepVid or ClipConverter. 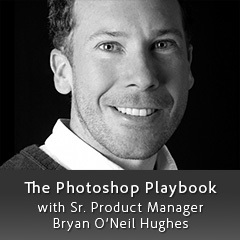 Then to download each video, step through the Photoshop Playbook video playlists on YouTube. Hi, i’m just trying to download the free e-book for photoshop. but after i download the book, all i find it just downloads the adobe reader. i just downloaded the adobe reader 3 times. but nothing happens to read the free ebook. Hello Dede, sorry you’re having difficulties with that. 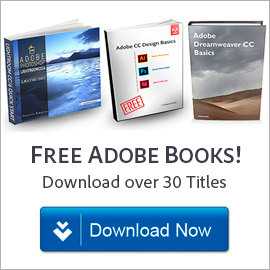 Which of the free Adobe books is it that you are interested in? There are several covering Photoshop and related tools, and they should all download as PDF ebooks onto your computer or device for reading. Is it the book on Photoshop and Digital Design, or the book called Learn Photoshop CS6, or the book on Photoshop + Illustrator + InDesign Basics? 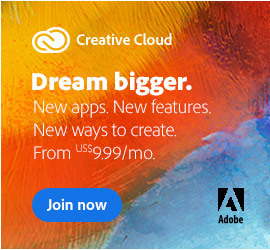 Announcing the 2014 Release of Adobe Creative Cloud – Live Event! What’s New & Upgraded in Adobe CC Since Its Initial June Launch?